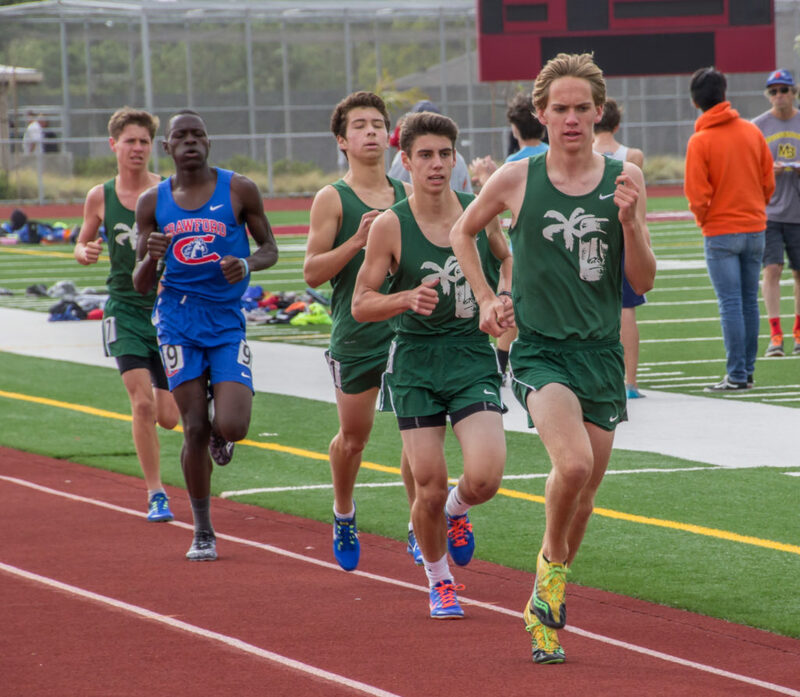 Head Track & Field Coach George Green gets us up to speed on the results of last week’s City League finals. 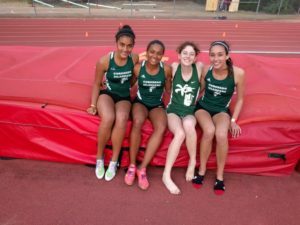 For the Coronado Islander Track & Field team, the City League finals were spread over three days last week. 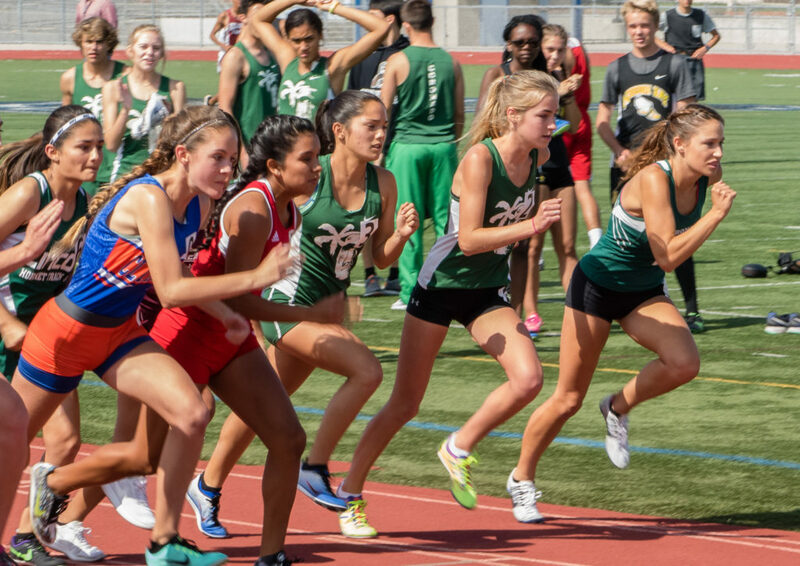 The 3200, Triple Jump, Shot Put, and Discus Throw were held at Kearny on Tuesday, May 9. 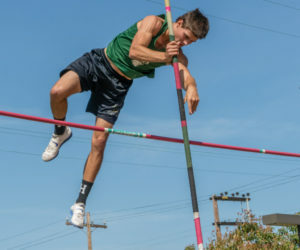 The Pole vault was held at Coronado on Thursday, and the rest of the events were Friday, May 12. 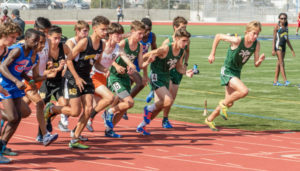 Even though Mission Bay won the boys’ league championship by winning all their dual meets, Coronado beat them when the finals were scored as an invite. The girls were totally dominant and won all but three events with many 2nd and 3rd places to boot. The girls’ league win-loss record was 7-0 so they are the league champs. 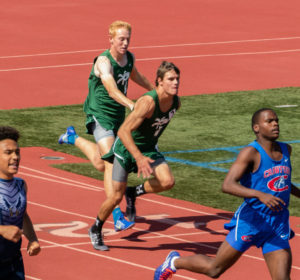 To advance to the CIF prelims you need to win your event, hit a CIF standard, or get in “at large” by being among the top 27 athletes in your CIF division at league finals. 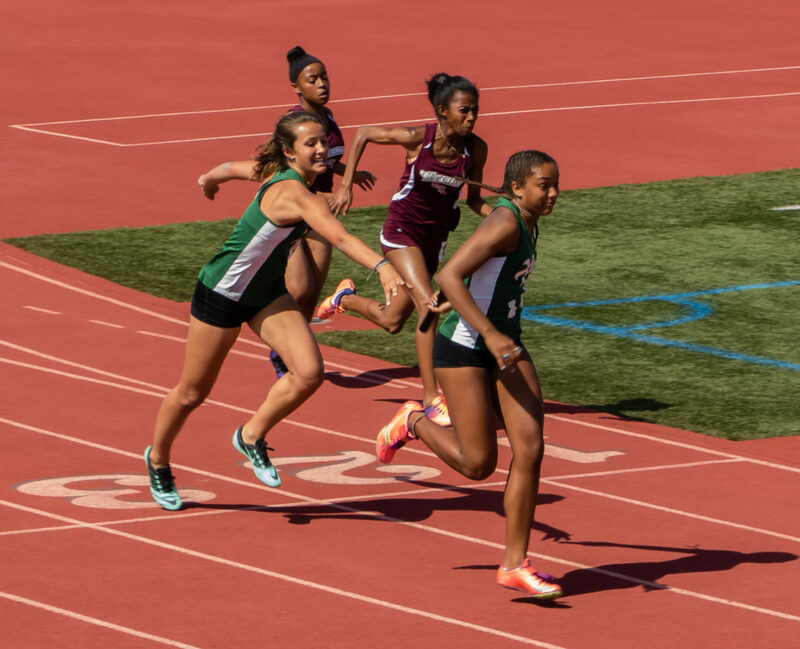 There’s a big difference in the way dual meets and invitationals are scored. 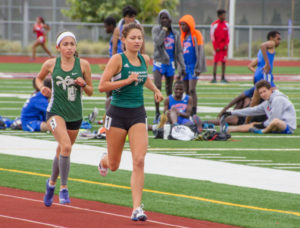 In a dual meet only the top three in each event score points; with five points for first, three for second, and one for third. Invite scoring goes eight deep with 10, 8, 6, 5, 4, 3, 2, and 1 points awarded. 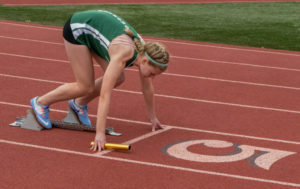 Because of the greater number of schools competing, the points that each school gets out of each event is usually diluted because there are more schools vying for the points. 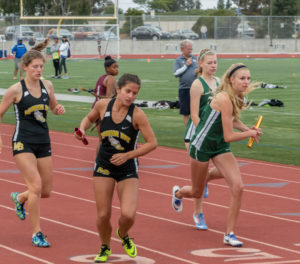 If a school like Coronado is dominant in an event, or a few events like our distance squad, we score a lot of points. 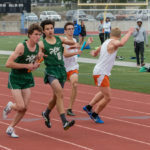 Our 1 through 4 placing in the boys’ 3200 yielded 29 points, we netted 27 points in the 1600, and 18 points in the 800. Those 74 points accounted for 64% of our boys’ total. 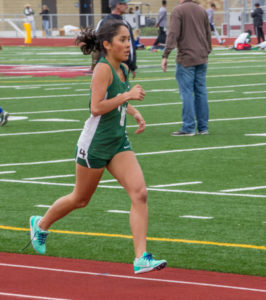 The girls scored nearly three times as many points as their nearest rivals, with 214 points to Christian’s 75. Lincoln’s point total was 68 followed by Kearny with 65, Mission Bay and Clairemont each with 59, Madison with 39, and Crawford with 2. 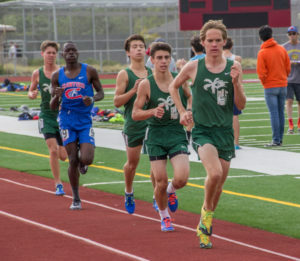 The Islander boys bested Mission Bay with 116 points to the Buccaneers’ 103. Lincoln was third with 76 followed by Christian with 71, Crawford with 69, Kearny with 61, Madison with 59, and Clairemont with 42. 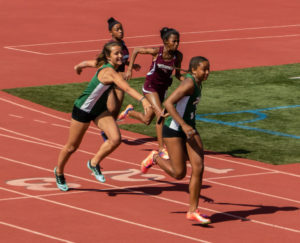 Abigail handing off to Alysah for the last 100. Our girls captured spots 1-2-3. 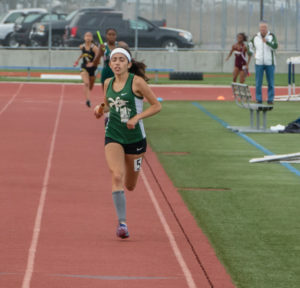 All three advance to CIF prelims but Jasmine will scratch to concentrate on the 3200. 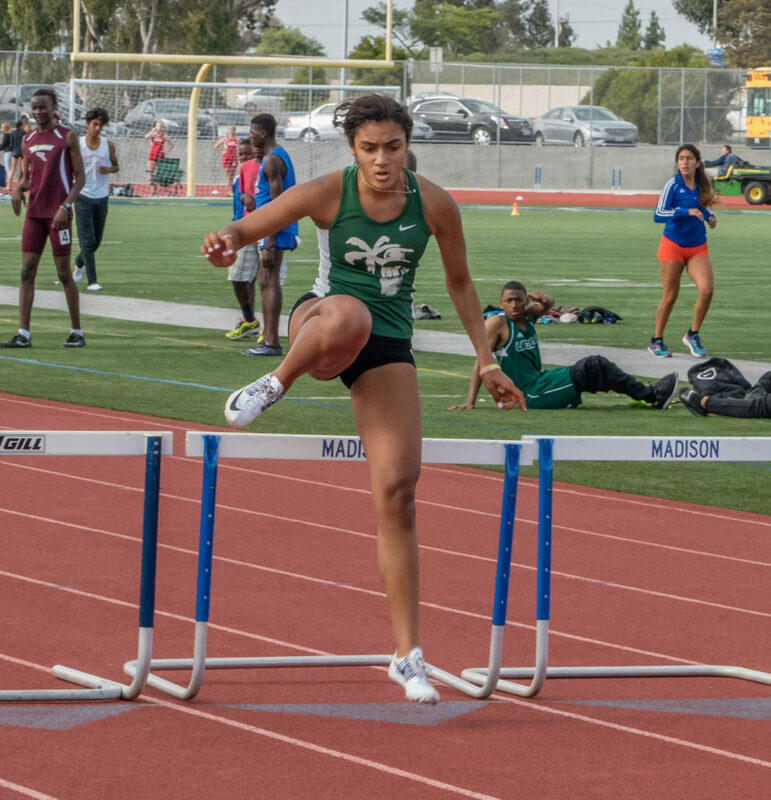 Grant-Williams advances to CIF as 9th seed, and was league champ. 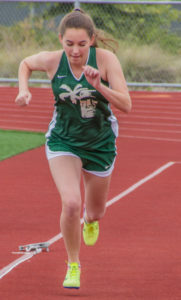 Ruthie on the way to winning the 100 hurdles. 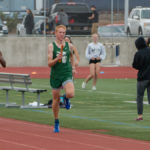 Hickey Advances to CIF prelims as top seed and was league champ. 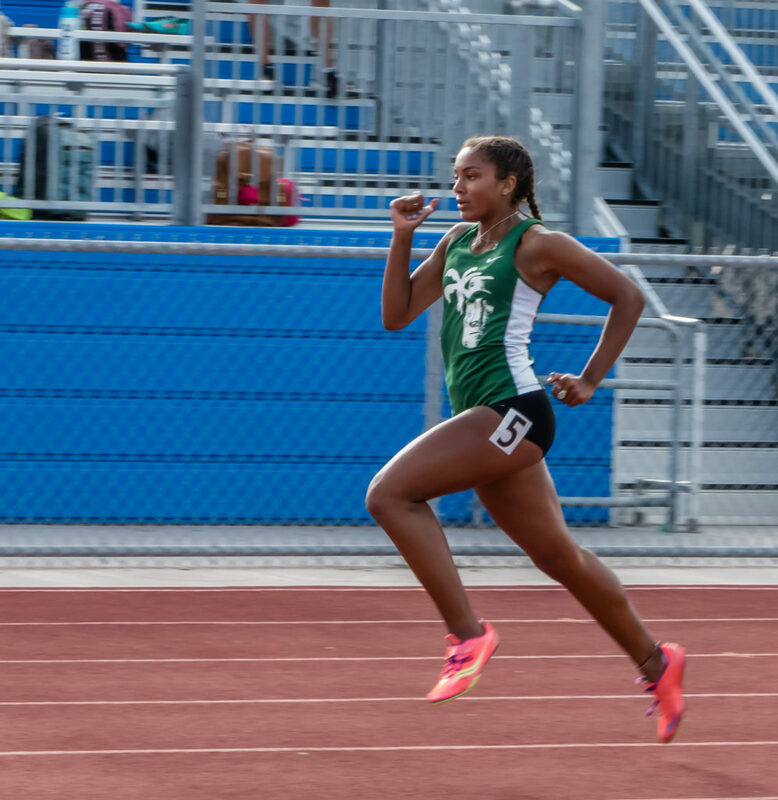 The girls’ Track athlete of the year went to Alysah Hickey for winning the 100, 200, and anchoring the 4×100. 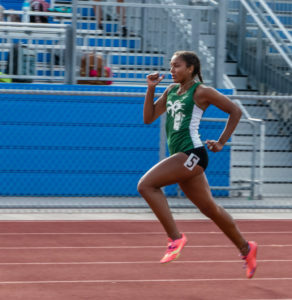 Alysah on the way to another 100 meter win at league. 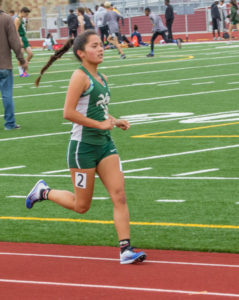 Teresa advances to CIF as 5th seed and was league champ. Grant-Williams 48.29, 1st place – advances to CIF as 8th seed and was league champ. 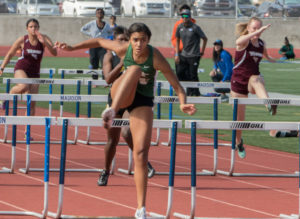 Ruthie on the way to winning the 300 hurdles. 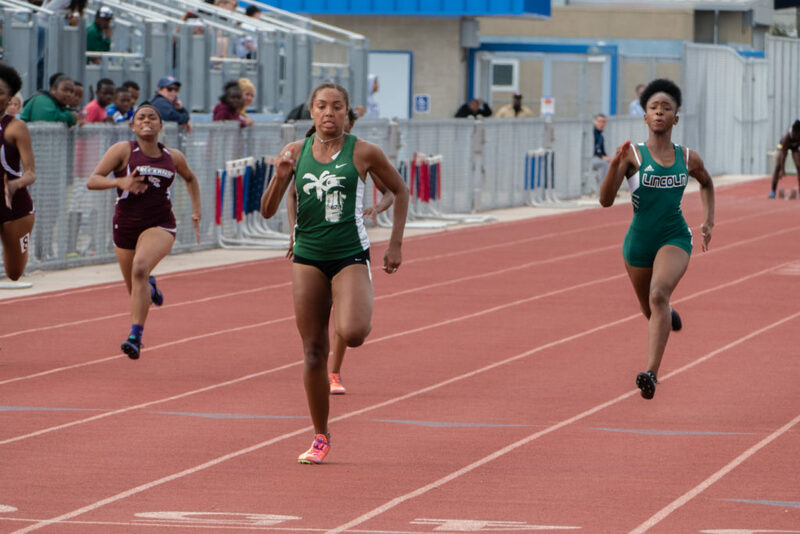 Alysah Hickey on the way to win the 200. Renee Phillips sets school record with a time of 11:02.25. 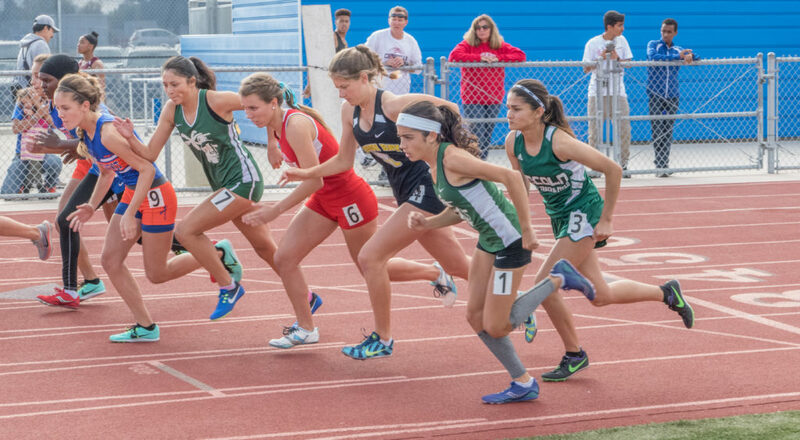 4×400 Girls win to advance to CIF prelims. 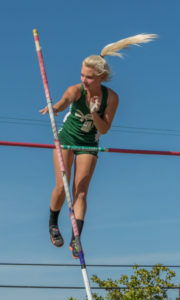 Kelli Law winning Pole vault. 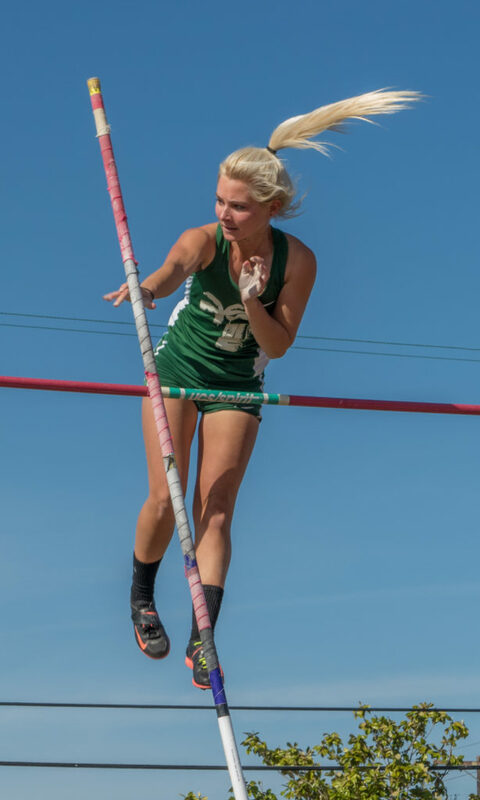 Kelli Law won the pole vault with a PR of 9 feet 7 inches and advances to CIF prelims. Coronado has the best girls’ high jump program in San Diego so it was no surprise that we went 1-2-3 in that event. 2nd place went to Ruthie Grant-Williams with 5-2, and 3rd went to Rileah Ramirez with 5-0. 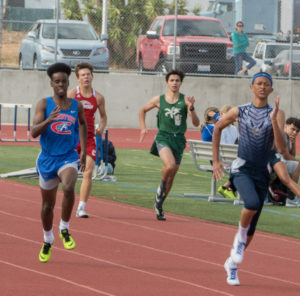 All three move on to the CIF prelims. 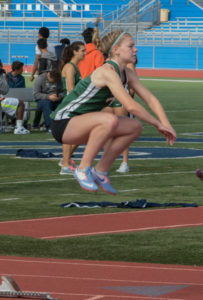 Ramirez also qualified for CIF in the long jump with a leap of 15-11. Bree Humphrey placed 5th with 14-3.5, and Laura Wiese jumped 12-7.5 for 9th place. In the triple jump Christine Wastila went 32-5.75 for 4th, with Humphrey 5th with 30-9, and Madison Steel with 26-5. 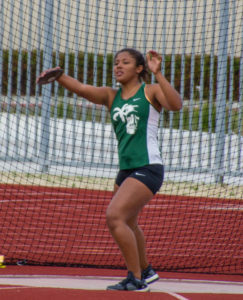 There’s a chance that Christine will scratch into the CIF prelims. 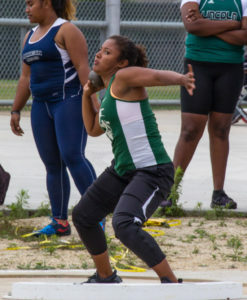 We have only one thrower this year, Lexia Hall, but that’s all we needed. 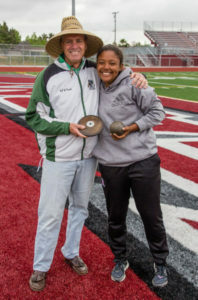 She won both the shot put and discus and was named as the Girls’ League Field Athlete of the year. Luke Klingenberg and Spencer Busby went 1-2 with times of 4:36.16 and 4:41.10. Danny Mineo was 3rd, Cole Mullins placed 6th, with times of 4:47.73 and 4:54.31. 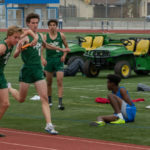 Luke advances to CIF prelims. Charlie Winn and Ian Hurlburt went 1-2 with times of 1:59.91 and 2:02.85. 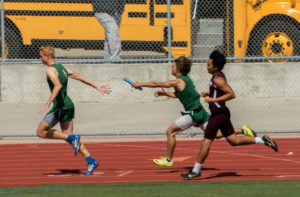 Both advance to CIF prelims. 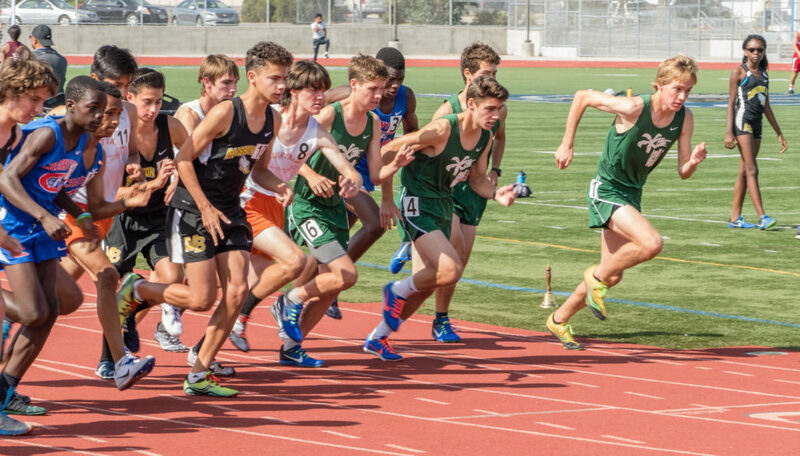 Spencer, Luke, and Danny qualified for CIF but Luke will scratch to concentrate on 1600 and 4×400. 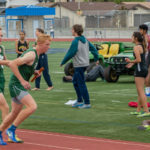 The winning 4×400 relay team. From left, Ian, Charlie, Chris, Luke. 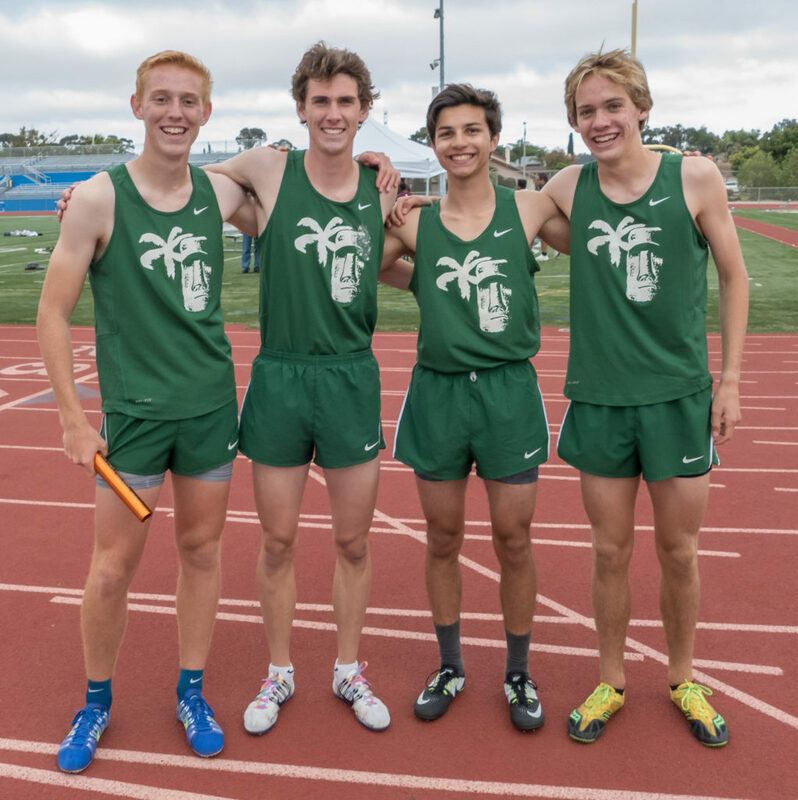 Coronado won with Chris Russell, Ian Hurlburt, Luke Klingenberg, and Charlie Winn with a time of 3:35.55. 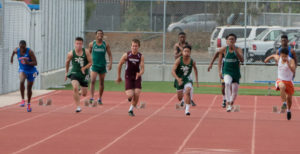 The team advances to CIF prelims. Alex winning the pole vault. 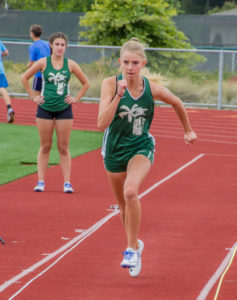 Alex Cheever, in addition to anchoring the 4×100 team, won the pole vault with 11 feet 6 inches, placed 4th in the Long Jump with 20 feet 3 inches, and placed 7th in the triple jump. He advances to CIF prelims in pole vault and long jump. 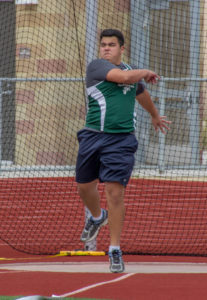 Josh Wink placed 9th in the shot put and 14th in the Discus. 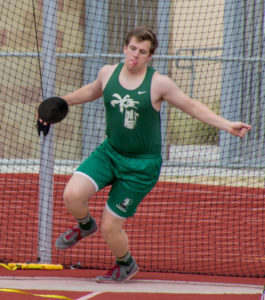 Joe Whalen placed 13th in the shot put and 17th in the discus. 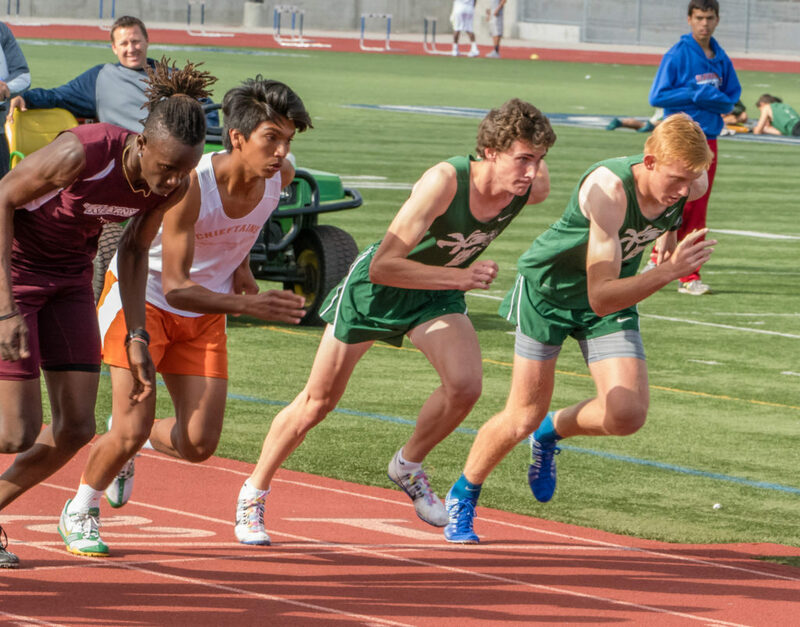 Next up is the CIF Prelims on May 20.